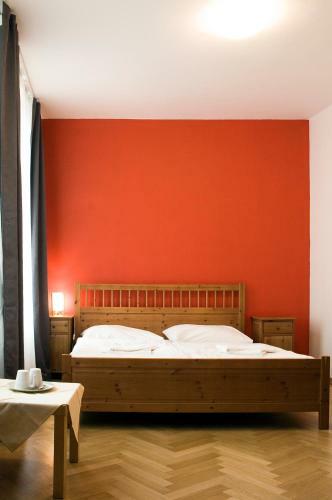 Located 700 metres from Prague’s historic town square, this apart-hotel offers fully furnished apartments with free internet. It features an ancient, vaulted breakfast room in the cellar. 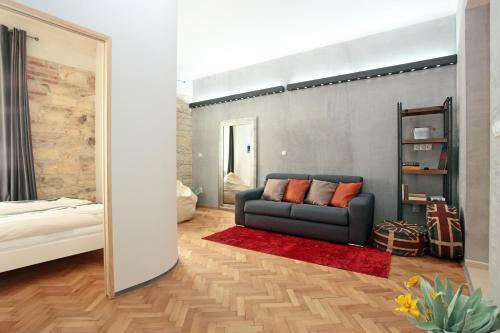 Each bright and parquet-floored apartment is accessed by a private entrance. Ai Quattro Angeli’s apartments feature a full kitchen and a dining area. At the Residence Ai Quattro Angeli, a daily buffet breakfast is served in the vaulted cellar with brick walls. 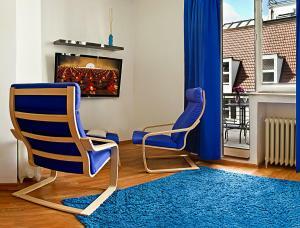 Holiday apartment 300163 It is a beautiful luxurious apartment located right in the city centre of Prague (Prague 1). 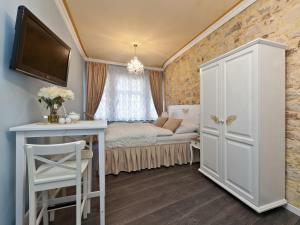 Holiday apartment 301766 We are proud to announce the addition of another apartment to our Prague portfolio. 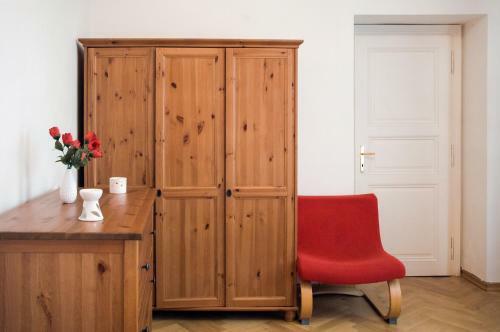 We have continued our theme of merging sleek modern touches with the innate charm of historical Prague in this elegant city centre apartment. 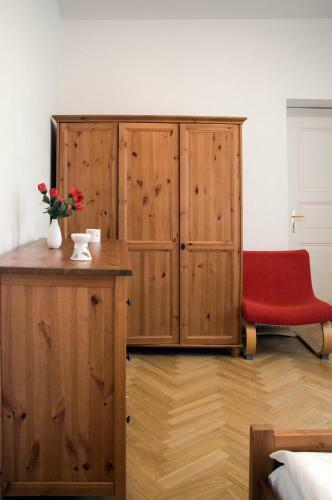 Holiday apartment 301769 This is how we would describe our apartment in a few words:Inside: nice and spaciousOutside: oldest part of PragueOur apartment Opatovicka Vintage is located in the central and beautiful Nove Mesto area. 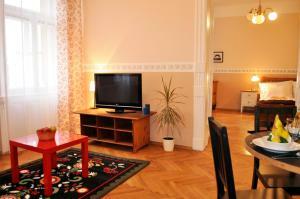 Holiday apartment 301801 Do you want a great holiday in the center of Prague? Then you are right. 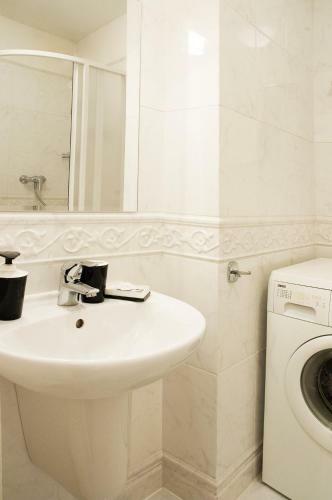 We offer these smaller apartment only a few meters from the National Theatre and the famous restaurant U Fleku. 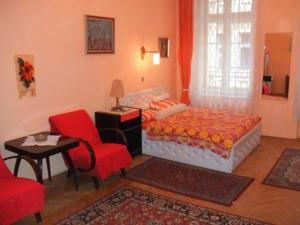 The Apartment House Opatovicka The Apartment House Opatovicka offers accommodation in Prague. An oven and coffee machine are also featured. 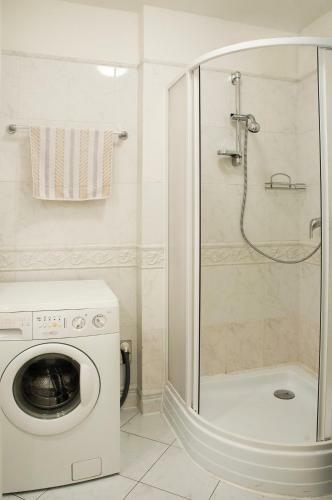 Some units also have a kitchen or a kitchenette, fitted with a microwave and toaster. 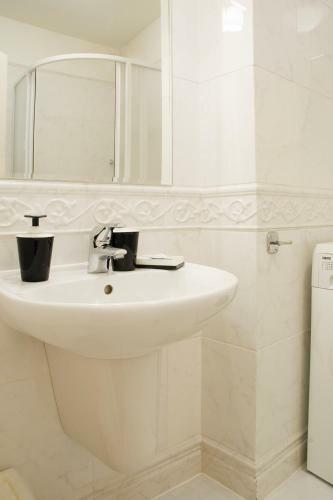 There is a private bathroom with a bath or shower and free toiletries in every unit. Vaclav Havel Prague Airport is 11 km away. 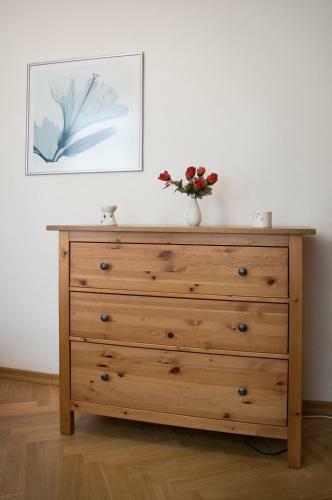 Central apartments Central apartments is a self-catering accommodation located in Prague. 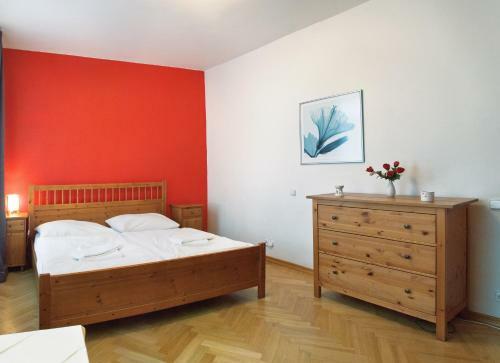 The property is a 7-minute walk from the Wenceslas Square and less than 10 minutes on foot from Charles Bridge. The Prague National Museum and the Old Town Square are a 10-minute walk from the premises. Upon request and for an extra charge, airport shuttle can be arranged. Restaurant Estrella, Prague Guest reviews: 9,4/10 ~ 0,1 km from Ai Quattro Angeli Address: Opatovicka 17, Prague. Cuisine: Vegetarian. 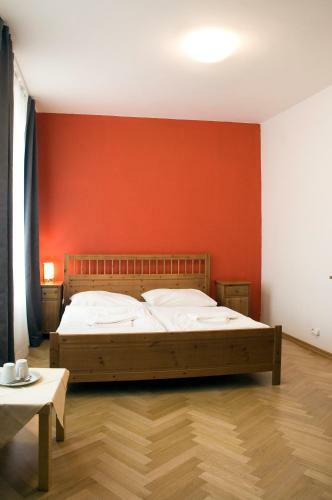 Restaurant Tempo Allegro, Prague Guest reviews: 9,4/10 ~ 0,5 km from Ai Quattro Angeli Address: Karoliny Svetle 283/24, 110 00, Prague. Cuisine: Italian. Restaurant Lehka Hlava/Clear Head, Prague Guest reviews: 9/10 ~ 0,5 km from Ai Quattro Angeli Address: Borsov 2/280, 11000, Prague. Cuisine: Vegetarian. Restaurant V Zatisi, Prague Guest reviews: 9,2/10 ~ 0,5 km from Ai Quattro Angeli Address: Liliova 1, 11000, Prague. Restaurant Hemingway Bar, Prague Guest reviews: 9,4/10 ~ 0,5 km from Ai Quattro Angeli Address: Karoliny SvEtle 26, 110 00, Prague. Cuisine: Bar.